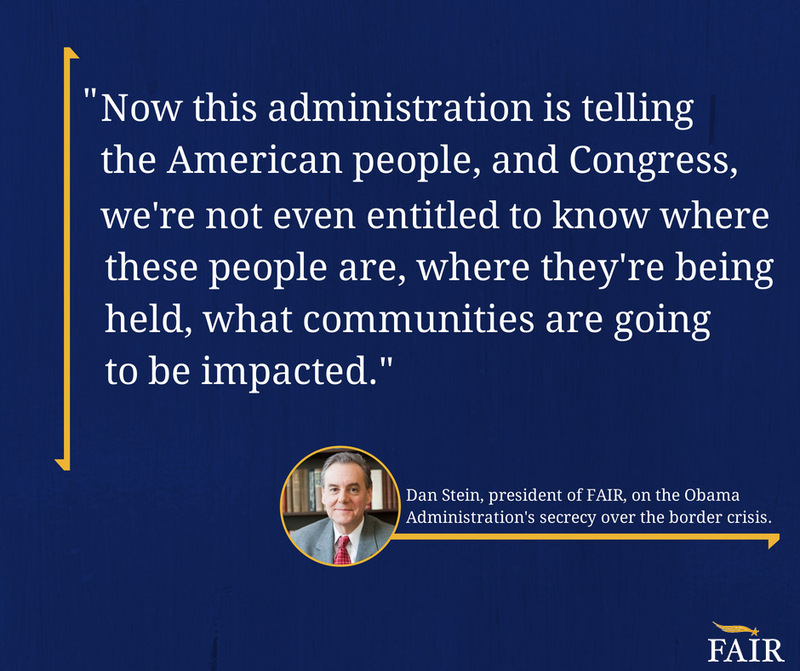 Noted investigative reporter Sharyl Attkisson recently spoke with FAIR’s president, Dan Stein, about the secretive reactions of the federal government to the border crisis. The government has abruptly shut down operations at Fort Sill in Oklahoma and two other military bases that sheltered more than 7,700 minors the government refers to as “unaccompanied alien children.” Thousands have been transferred to 150 shelters around the country, mostly group homes run by non-profits. But try to find out exactly where-and the government won’t answer, not the public or reporters, not even members of Congress. Jindal added that Jefferson Parrish was “literally having to hire more and more teachers that speak Spanish, they’re thinking about having to offer bonuses and stipends. Jindal isn’t alone. 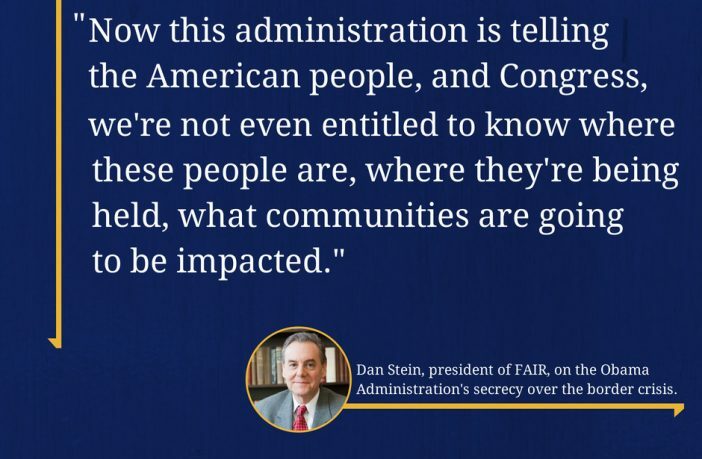 Elected officials around the country have publicly stated that federal government was not forthcoming with information, which presents problems for education and social services programs. I believe the public has a right to know. I would rather err on that side, rather than to be secretive, as this whole operation was initially done. My question to Homeland Security was, ‘Give us a sense of the profile of these individuals.’ If you’re going to send unaccompanied juveniles to another state in another jurisdiction, there’s legitimate concern that other members of this community have about public safety and public health. Give us the information. Local communities are only just beginning to feel the effects of government’s secret actions this summer. 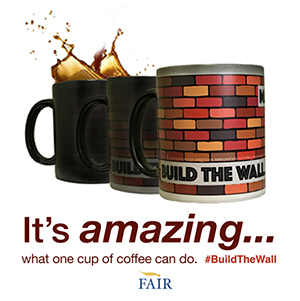 With a new academic year starting, public school districts are struggling to absorb hundreds and sometimes thousands of illegal alien minors into already taxed systems. Additionally, health concerns emerged after the Virginia Department of Education announced they were waiving immunization requirements for any of the 2,856 UACs released into the state who enroll in Virginia K-12 schools. More of Dan Stein’s comments can be seen in the report from Sharyl Attkisson. The video initially ran on San Antonio’s Fox 29 on the evening of Thursday, August 28. It will air over additional TV stations throughout the next few days. 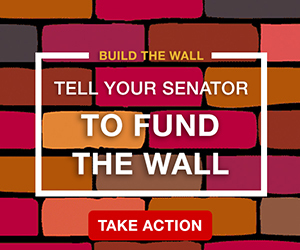 I just signed the petition at the Convention of States Website. I don’t know if that will push any politician to help with that. 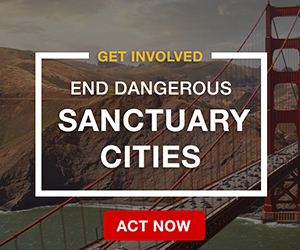 They might consider backing a organization like Convention of States to risky if they are running for election in Nov especially if they have LaRaza backed race based pressure groups of open border wackos in their districts. I just wanted to say that I remember reading a article about the 1960’s change of our immigration laws and one of the politicians that voted for it said on his death bed that changing the laws was the worst mistake he ever made. Just today, Obama spoke from his meeting in Wales with other world leaders. Instead of concentrating on the ISIS threat, he was assuring us that if congress didn’t act on immigration, he would go it alone. He looked weak and like someone who has surrendered our nation to the third world south of our border. He ended with saying “This is good for the country.” He should have qualified that – It is good for Mexico and all the other third worlds that have found a way to send their people north and the prospect of millions of bucks being sent back home. We are no longer a sovereign nation, nor a nation of laws. Looks like the 12 million illegal aliens in the United States are planning to import all their 5 to 7 kids each to cash in on Obama’s cheap election year Dreamer stunt. That means the illegal population would exceed 30 million. Like a true coward, Obama extended the 2 years for another 2 years to bump the whole problem into the next Presidents term. Of the current 35,000 minor wave, only 280 have been deported, the rest released into the US. This problem is just a small part of a much larger one that has been raging since the changes in US immigration laws in 1965 in conjunction with the Civil Rights legislation. 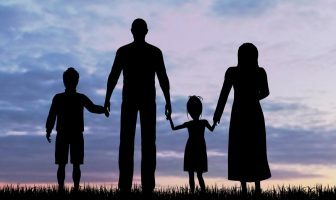 One could argue that at that time lawmakers were simply naïve regarding the massive impact these changes would have on the nation’s future demographics, but now it is obvious that the destruction of the majority population of European descent is the goal. Our Marxist oriented intellectual leaders have been extremely successful in blinding our entire population to the fact that different racial and ethnic groups vary in the societies they produce for reasons that are largely heritable. In other words, we are conditioned to believe that groups of people are interchangeable, that their differences in behavior stem from (unjust) social forces and can be remedied with the proper environment. There is a reason why certain populations produce Third World societies throughout ANY location in the world in EVERY period of existence, while other populations mostly produce successful societies in the world. Only East Asian and European populations are able to produce these productive societies, but the Chinese, Japanese, and Koreans aren’t allowing massive flows of Third World populations into their countries that will one day outnumber their own countrymen. As we become more and more populated by Third World peoples, we will come more and more to resemble a Third World country. These invading groups will allow the elitist white intellectuals to maintain power for a time, but once they have the numbers, they will kick them to the curb. At this point, we will resemble South Africa (or Mexico), and genocide coinciding with wealth transfer/destruction will be the norm. This is why our current situation is so frustrating. Our nation is heading towards a future only slightly less devastating than a zombie apocalypse, and most of us are going about our business oblivious. Totally true, and we see it happening. Only now is it being noticed by others, because the once working Americans are now losing their jobs to this invasion. The illegals, all of them,need to go back and make their own government give them welfare and a stolen id. I have said this time and again, that I believe this Govt. and Mexico, plus all the others south of the border have helped in this invasion upon our country. I do not believe that 80,000 + kids and people can almost over night just show up without a lot of help from willing Govt’s. YES, along with them we get plenty of wacko’s that want to kill us. So how is that Change working for you now ? If Mexico or any country came waltzing into America to tell us how to run our immigration laws; I’d best not blog what I’d tell ’em. Washington underestimates the power of the American people. Article V of the Constitution outlines the citizens’ power to call a Convention of States to prevent the government from overreaching. I am sorry but go ahead & call the people to g how many show up….. The president of Mexico was in this country last week and he did the usual lectures that he and his predecessors have always done. Which is, condemn those in this country who want our immigration laws enforced. 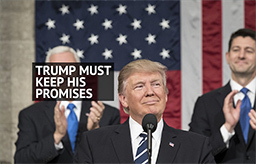 He also praised the state of California and their rewarding illegals with state benefits, and suggested that other states better get their act together and do the same thing. Ignoring of course the fact that you would get deported from Mexico if you were to apply for welfare or be there illegally. He also called the US “the other Mexico”. That’s exactly what we need to be like, I guess. Corrupt and violent. I was reading a story in the paper a couple weeks ago about kidnappings. One woman whose family owned a small store was ransomed twice in three years. And yet our politicians, including California governor Jerry Brown, fell all over themselves to welcome the guy who heads that government. And Brown told Mexicans that they are “welcome” legal or illegal. I guess Brown hasn’t heard about the extreme drought his state is in. Not enough water for the population they have now. But if it gets Brown a vote, he’s happy. Let’s remember that these aliens are not immigrants or refugees but invaders.